We are Chattanooga's floor design showroom with traditional, contemporary and modern design choices. Riverview Floor Design is loacated in North Chattanooga near the entrance to Coolidge Park. We offer our clients a true custom flooring experience. Our offerings include Shaw carpet, Tuftex carpet Godfrey Hirst nylon carpet, Masland fine wool carpet, Godfrey Hirst fine wool carpet, cork flooring, stone, tile, and hundreds of differing hardwood options. Any one of our fifteen install crews are able to fulfill our motto, and your dream of "From Imagination to Installation," We recycle, and specialize in environmentally friendly products. 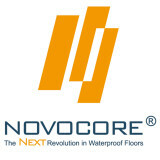 NovoCore® Premium is an extra stable and rigid engineered waterproof flooring. It was developed with an idea that we walk, breathe and live on our floors, so safety and sustainability were our main concerns while designing this amazing product. So what puts NovoCore® Premium apart from regular vinyl floorings? - NovoCore® Premium features a Deep Structured Decorative Layer providing the look & feel of a premium hardwood parquet. - NovoCore® Premium is a perfect choice for DIYers. Thanks to its rigid core, it can be installed over any existing subfloors without any Telegraphing! It is also exceptionally Sound Absorbent (STC 75, IIC 70). - Designed with time in mind, the floor’s surface is extremely sturdy and resistant to wear, exceeding the highest requirements for scratches and scuffs. NovoCore® Premium is perfect for light commercial settings and even wet rooms areas. - The combination of its 100% Waterproof Core and an extra Tight Lock which seals out water for 24h, leaving time for spills to dry out or wipe clean, makes it the perfect choice for bathrooms, kitchens and houses with kids, pets and a lot of life! - NovoCore® Premium is completely free of Phthalates and other harmful plasticizers keeping the indoor environment cleaner than it’s ever been (Floor Score certified). 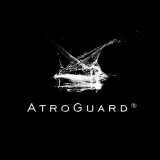 - It features SE+ Anti-Bacterial Finish, that is eliminating 99% of harmful bacterias without any chemicals! (tested and certified by ASTM International, ISO 27447, UIS) - NovoCore® Premium is Recyclable. - Floor comes with Hypoallergenic Cork Backing. Naturally hypoallergenic & waterproof cork is the natural solution for extra protection, sound absorption & an extra soft underfoot. USFloors, located in the foothills of the Appalachian Mountains, in Dalton, GA is a manufacturer of Unique and Sustainable floors. USFloors is the leading importer/producer of sustainable, eco-friendly floors including cork, bamboo, FSC®-Certified hardwood, and other Unique and Sustainable Floors such as our patent-pending COREtec Plus® Engineered Luxury Vinyl. 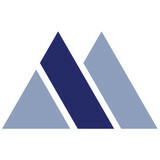 Major Wholesale Flooring Provider Located in Northwest Georgia Nance Industries started in 1972 and is the largest woman owned flooring company in the United States. Carol Nance, along with her husband Bob Nance have created a successful wholesale flooring business in the heart of Calhoun, Georgia. Now in its third generation, Nance Industries is still family owned and operated since 1972. The company has grown from just a small store to now six plants and over four hundred employees. Nance Industries is now in all major home centers throughout the United States and does millions of feet of contract work for Engineered Floors, Shaw, and Mohawk annually. We are passionate about creating beautiful homes founded on innovative design and lasting function. We love, as you do, creating spaces and places for people to live, laugh, love and enjoy; especially spaces for your family. We strive to provide the products and services that help our customers turn houses into homes. We know a beautiful room doesn’t happen by accident. It’s a process. It’s deliberate. And it all starts with the floor. Flooring can change the look, feel and function of a room, bringing together a beautiful, yet subtle masterpiece, artfully crafted by you. From the soft pale carpet for a sleeping sanctuary to the powerful Grand Canyon hardwood for a culinary haven, floors support your family’s every move. This page is a space to celebrate your passion, collect ideas and share them with a community of fans just like yourself. You can get a preview of upcoming flooring trends and inspiration from the flooring leaders at Shaw Floors. Southern Style Hardwood Flooring is locally owned and operated. We have over 30 years of experience in the flooring industry and would be happy to answer any questions that you may have about your hardwood floors. We offer hardwood flooring installation, repair, dustless sanding and refinishing. We are fully insured. Fast, friendly, and fully functional, our professional Flooring Service is well renowned throughout the Chattanooga area. Our team is up for every job, managing projects with the skill and experience our clients have come to expect. We always stand behind our work, with customer satisfaction being our #1 priority. We will help you find the perfect flooring for your home with our in home consultations. We take the hassle from going to the store and bringing samples home. We simply bring the store to you. That is truly the only way to see what will work best in your home for the best decision possible for your money. We have access to all manufacturers and suppliers for the widest array of merchandise allowing us to give you the best prices available. Contact us to learn more about our incredible staff and how they can help you! A&H Flooring has been serving the Chattanooga and surrounding areas for more than 40 years. We offer everything you will need for your home from flooring to cabinets!! Praters Flooring has been raising the expectations of flooring consumers since 1990. At Praters, we take pride not only in our craft but in the care we take to ensure the health of our customers and employees. We use clean, eco-friendly products and methods throughout the homes we are entrusted with. When you choose Praters Hardwood Flooring, you choose local, you choose clean, and most importantly, you choose safety. Because when it comes to your family's health and your home's quality, Praters has your back. It's More Than a Rug. It's a Lifestyle. We understand home decor is about defining your lifestyle, indoors and out. It's why our handcrafted rugs, constructed by master artisans, are described as individual works of art and a visual cut above the rest. From our dyeing process to each individual hand-stitched weave, we bond years of refined craftsmanship into every fiber of your rug. Characteristics of a Handmade Rug Over 50 years ago, we recognized the art of handcrafted rugs. We then invested in master artisans because we value skill, quality, tradition and design. Now, our handmade rugs are the best in the industry. The admired qualities of a handmade rug are found in its character differences. It's what makes your rug unique and invaluable compared to rugs produced by machines on an assembly line. The characteristics of a handmade rug are: Color Variation Our dyeing process takes 30-40 days to create the color and shade of every fiber used in your rug. The process is exact, but also relies on the artisan's interpretation. Just like a great pair of hand-dyed jeans, no two Kaleen rugs will look exactly alike. Shape Variation All of our rugs are made within a standard of variation tolerance, and one variation you may notice in a handmade rug is within it's shapes. This is where the biggest difference lies between unique handmade rugs and mass-produced rugs. Shapes will differ slightly. Texture Variation Sporadic variations in row height within certain rugs are characteristics of handmade construction. A machine can make the exact same pattern over and over, but a skilled hand can make a one-of-a-kind, room-changing beauty. All three of these characteristics define a handmade rug, rather than another product off the shelf. Kaleen is an international designer and creator of beautiful handmade area rugs. Headquartered in Mumbai, we have various international operations and distribution locations in Dalton, Georgia. Kaleen’s “Point of Pride & Commitment to Customer Satisfaction” is a reflection of the proven success for over 40 years within the textile industry. The strength of Kaleen’s 3,500 skilled artisans allow for many opportunities no matter the size or complexity of the desired target. All Kaleen facilities are Eco-friendly and certified by the ISO 9000 International Organization for Standardization that defines, establishes, and maintains an effective quality assurance system for manufacturing and service industries. *Authorized Shaw Flooring Dealer* Your Best Source for Carpet, Hardwood Flooring , Laminate Flooring , Vinyl Flooring , Area Rugs and More! 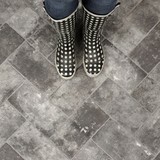 Shopping for floor covering can be a bewildering experience. Today, there are thousands of options available for flooring-a huge array of styles, colors, patterns, weights and brands to choose from. Whether your needs are for carpet, an area rug, hardwood flooring, laminate flooring or vinyl, Beckler's Carpet has been the first place to turn for answers for your floor covering needs since 1949. You see, a full 80% of the world's carpet is crafted right here within a few blocks of us. We've been on a first name basis with these folks for nearly half a century. So who can better tell you what's in or out of fashion, and how you can get it for the lowest possible price? At Beckler's, we're committed to helping you make the most informed decision possible! We offer products to meet the needs of almost any consumer. From builders to designers, we keep over one million yards of flooring inventory available at any given time. Hardwood flooring, carpet, vinyl, laminate flooring, commercial carpet and area rugs-it's all here at Beckler's Carpet. Also we carry products from famous brands such as; Mohawk Carpet, Shaw Carpet, Tuftex Carpet, Beaulieu Carpet, Bruce Hardwood, Congoleum Duraceramic, Quick Step Laminate Flooring, Mannington Adura, Stainmaster Carpet, Mohawk Smartstrand Carpet and many more. If you have already picked out the product that you would like to purchase please try the Becklers EZ-Quote Form. Enter the manufacturer, style, color, and the quanity needed. We will respond to request with the best possible price available. You have found the secret that thousands of people have known for years. Buy direct and save money! *Authorized Bona Certified Craftsman* Gurtner Hardwoods is committed to excellence in customer service and communication. We will always stand by our work and guarantee your satisfaction. What kinds of services do hardwood flooring installation professionals in Chattanooga, TN provide? Find hardwood floor experts in Chattanooga, TN on Houzz. Search the Professionals section for Chattanooga, TN hardwood flooring installers and dealers or browse Chattanooga, TN photos of completed installations and look for the professional’s contact information.